Berger is representing the Lebashe Investment Group, Harith Fund Managers and Harith General Partners, as well as ex-PIC chair Jabu Moleketi, ex-top PIC executive Tshepo Mahloele, and Warren Wheatley. "Mr Holomisa, you are getting confused now," said Berger at one stage. "It is you who is getting confused," Holomisa shot back. Berger said that his client Harith Fund Managers was set up in 2007 to manage the investments of the Pan African Infrastructure Development Fund, which eventually raised $630m. He said the PIC exposure to Harith was seed capital of between R17m to R22m, which has already been paid back. Berger said the second company needed to be established because the Harith Fund Managers could not, according to its mandate, invest in more than one fund. Staff and assets were migrated from the first to the second fund. Berger added that Holomisa had no facts to suggest that the transfer of staff from Harith Fund Managers to Harith General Partners and transfer of the management agreement was irregular. He denied that the Government Employees Pension Fund – a major investor in both funds – had made losses as suggested by Holomisa, saying they had a profit. 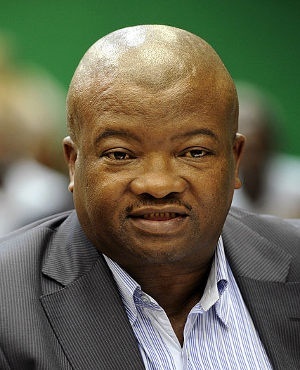 When asked by Berger if he agreed that the GEPF had indeed made a profit, Holomisa replied, "You are wasting your time – you are not going to get any concessions from me."